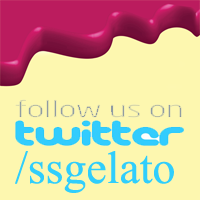 Our Awesome Organic Gelato Flavours! You demanded Canadian Maple and we delivered. Straight from a cabane a sucre in Quebec, it’s pure, it’s delicious, it’s Canadian. A perfect blend of exotic spices and organic ingredients to create a mouth-watering treat. Made from an exclusive Chai blend developed by Salt Spring’s own Monsoon Spice Company. Attention true Chocoholics! Triple your pleasure with three different types of Organic and Fair Trade chocolate. A chocolate lover’s delight! Turn up the heat with our Dark Chocolate Chili Spice! We start with our classic Chocolate Bliss then make it mucho caliente with a blend of chili spices. Chocolate and peanut butter – what a combo! Experience an irresistible blend of flavours in every bite! See what the buzz is all about with this timeless classic. If you’re not shaking after this you need another pint! Certified Organic BC grown Hazelnuts combined with Certified Organic Turkish Hazelnuts create this delicious frozen treat. Rich in vitamin E! Need we say more? 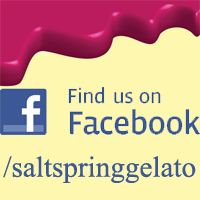 A classic Italian blend of creamy milk chocolate and roasted hazelnuts with a Salt Spring kick. Discover why it’s a fan fave! A time honoured flavour both young and old can agree on. We use Organic Quebec maple syrup of course! Enjoy! Rich and creamy, bursting with ripe Organic strawberries, fresh milk and natural ingredients. A classic flavour perfected! A classic flavour favourite for you and old. There’s nothing “just” about our Vanilla. It’s one of these flavours that plays well with others. Enjoy! Hey there, I live on the Sunshine coast…in Sechelt. I have an ice cream bicycle and would like information on how to get your IceCream here for me to sell. What is the largest tub that you sell? Prices? Do you have any other specialty products like ice cream bars?